Ervine’s Auto Repair & Grand Rapids Hybrid proudly offers expert Lexus auto repairs for clients who live near and around Grand Rapids. We foster trust with our customers, which is why new clients often remain with us for the long run. Your Lexus will be given the red-carpet treatment and we’ll have you at ease in a safe vehicle in no time. You’re in luck when you bring your Lexus to Ervine’s Auto Repair & Grand Rapids Hybrid because our master auto mechanics consider themselves “black belts” of ASE Certification. Their skill set is unmatched by most of the competition so you can breathe easy knowing that some of the most skilled technicians in the area will offer your Lexus premier auto repair services. We offer digital inspections so we’ll keep you abreast of repairs that we can email you. Communication is important to us so expect to be kept abreast of what’s happening with your Lexus from the moment you enter our facilities to the moment you leave. The team at Ervine’s Auto Repair & Grand Rapids Hybrid looks forward to providing your Lexus with first-rate auto repair services. Our expert auto mechanics are ready, willing, and able to provide first-rate services that will keep your car healthy and you safe on the roads. 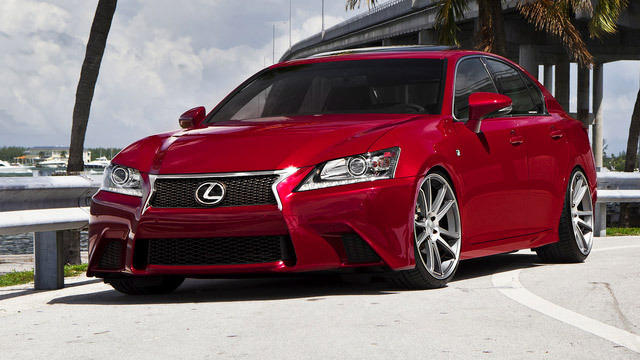 Your Lexus will be in the hands of some of the best in the region so expect top quality services across the board. Schedule an appointment today and you can find us at 4311 Stafford SW, Grand Rapids, Michigan 49548. We’re open Monday - Friday from 8:00 AM - 5:00 PM. See you soon!